For Christmas, I have part-received and part-offered a WWT membership. 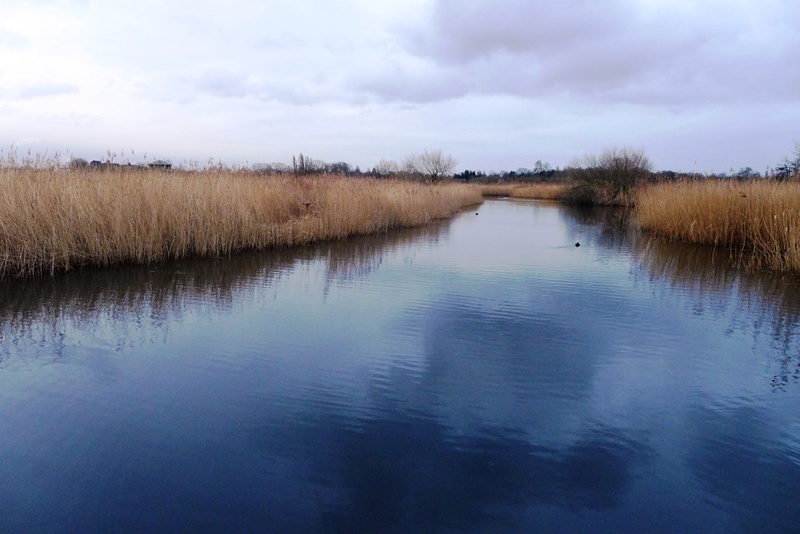 As some of you will be wondering what that is, well, WWT is the acronym of Wildfowl & Wetlands Trust, a charity founded in 1946 whose ambition is to conserve wetlands in the UK and abroad. 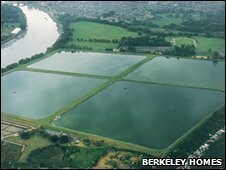 Originally a freshwater reservoir owned by water provider Thames Water, the site became unused in the 1980s, and reconversion started in 1995. 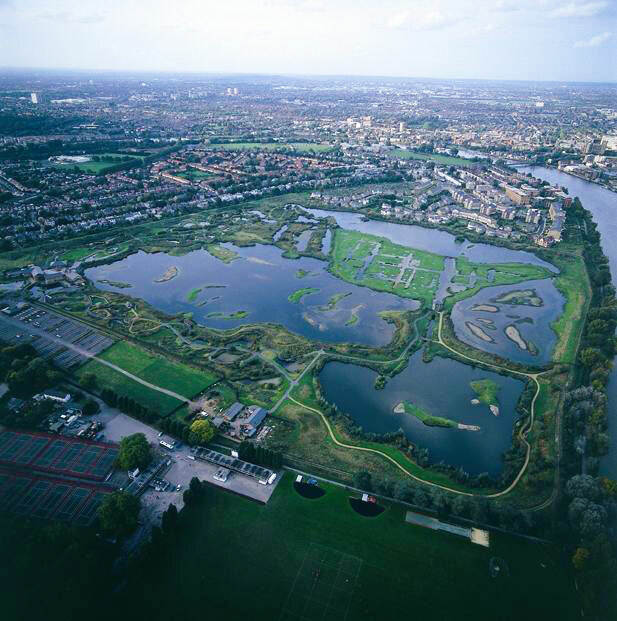 An interesting conservation initiative was set up : luxury homes were built on 9 ha of the site, providing funding for redevelopment of the 42 remaining hectares into a wildlife reserve. As you can see on the small picture below, the concrete reservoirs were demolished, the whole site was redesigned, with more than 25000 trees and 300000 planted. Anyway, we did have a chance to accompany one of the wardens on his feeding tour (birds are fed twice a day), and it was obvious that this guy had a real passion and knowledge of his little protégés. 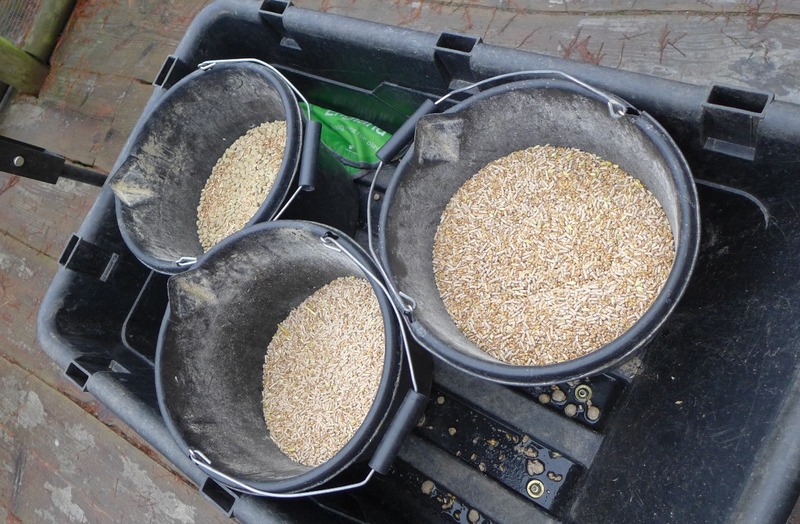 Three different mixtures are used, from rounded pellets for diving birds to cereal mix for more terrestrial birds. 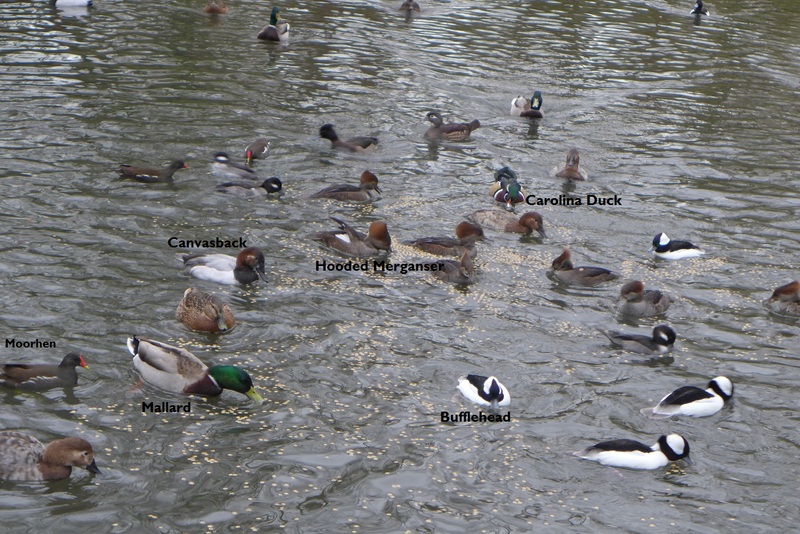 Birds are kept together according to their origin, here’s for example the North American Woodlands pond, with mallards (Anas platyrhynchos), canvasback (Aythya valisineria), Hooded Merganser (Lophodytes cucullatus), the very colourful Carolina Duck (Aix sponsa) or the strange Bufflehead (Bucephala albeola). 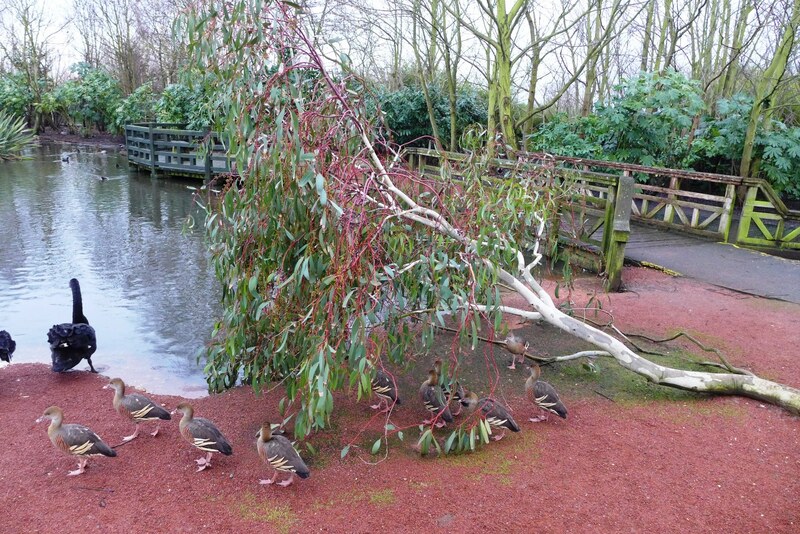 They have also made some efforts trying to recreate the birds’ native habitat, with Eucalyptus around the Australian pond for example. You can spot Plumed Whistling Ducks (Dendrocygna eytoni) and Black swans (Cygnus atratus). 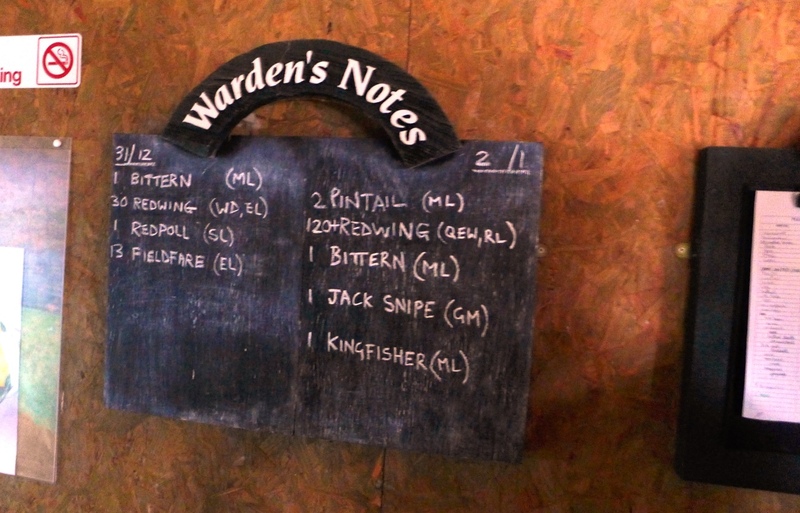 For most wildlife enthusiasts however, the Eastern part of the Centre will feel much more exciting, with large lakes, sheltered lagoons, marshy areas and numerous hides to observe the birds (although it is advised not to forget your binoculars or tele lens as we did!!). 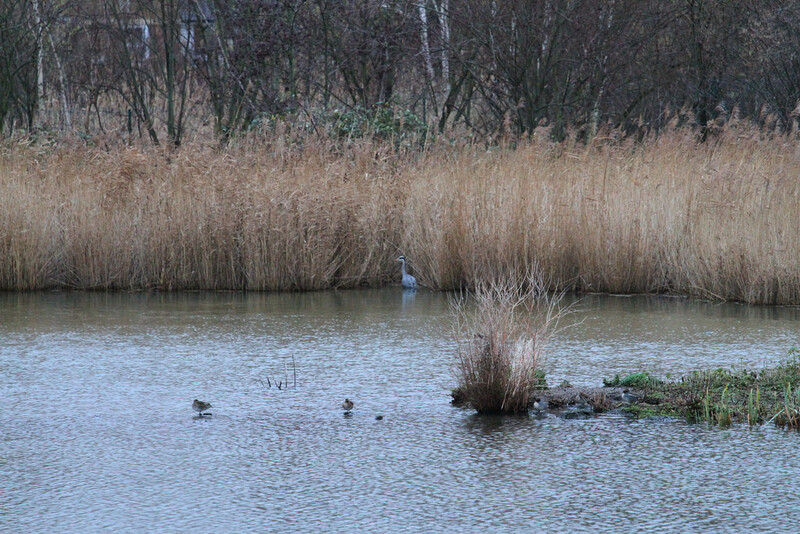 Yes, there is a heron, far away, in this picture! While herons, swans or mallards are all-year residents, there are also migrating birds using the WWT London as a resting or feeding site, and many other animals such as water voles, dragonflies, fishes or bats…Overall, it is still an amazing peace haven in the middle of bustling London, and it shows you how much can be achieved with a little political will (and a lot of money…)! Previous Post A New Year filled with flowers? Bonjour et merci Sophie de ce nouveau message, et un plus pour l’étiquetage des oiseaux sur la photo. Cela est d’une grande aide pour les non-spécialistes ornitho. I love the WWT, I’ve been there for a bat walk at night and also a reptile walk in daytime. 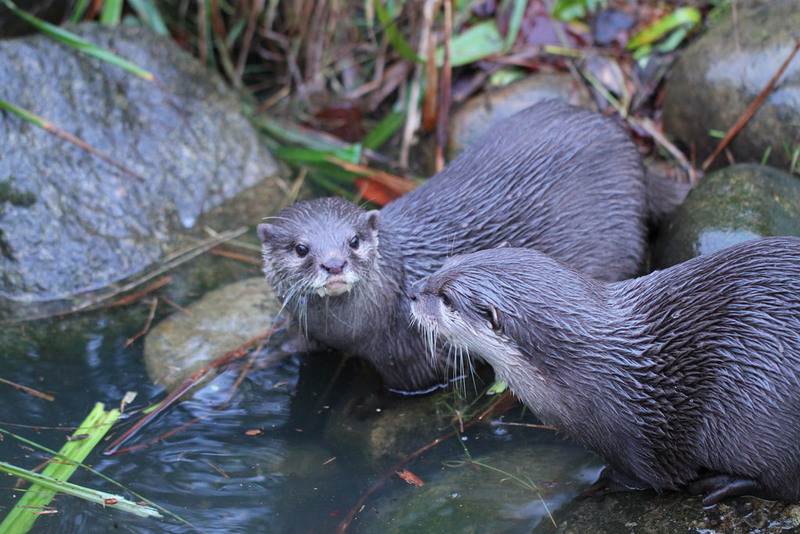 The otters are my favourites.